Ste. 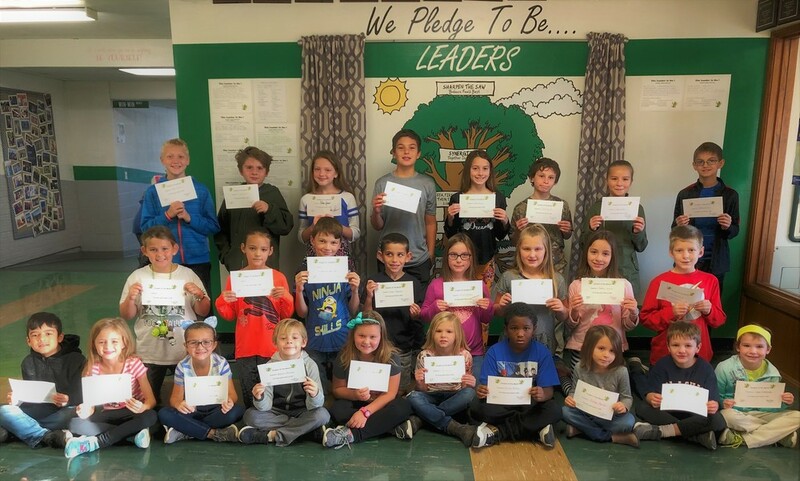 Genevieve Elementary celebrated October Student of the Month on Monday, October 29th. The students were chosen because they have demonstrated positive leadership qualities. Each student enjoyed a luncheon with the principal, assistant principal, and school counselor. They were also awarded with a certificate, pin, and ice cream treat. Congrats to all the leaders that were recognized this month at Ste. Genevieve Elementary.